UNITED NATIONS NEWS: The United Nations Office of the High Commissioner, Human Rights Committee released their ‘List of Issues’ to be asked of the United States regarding American Leadership’s human rights record. On March 13 and 14, 2014, the United States will participate in its 4th Periodic Review before the UN Human Rights Committee. The Human Rights Committee ‘List of Issues’ does include broad language inquiring about measures taken by American leadership to address police brutality and excessive use of force, which could serve as impetus for discussion about Kent State later this year, hopefully examining the critical ‘Right to Life’ issue for American protesters remains unexplored. READ our Kent State Submission for the U.N., Human Rights Committee. 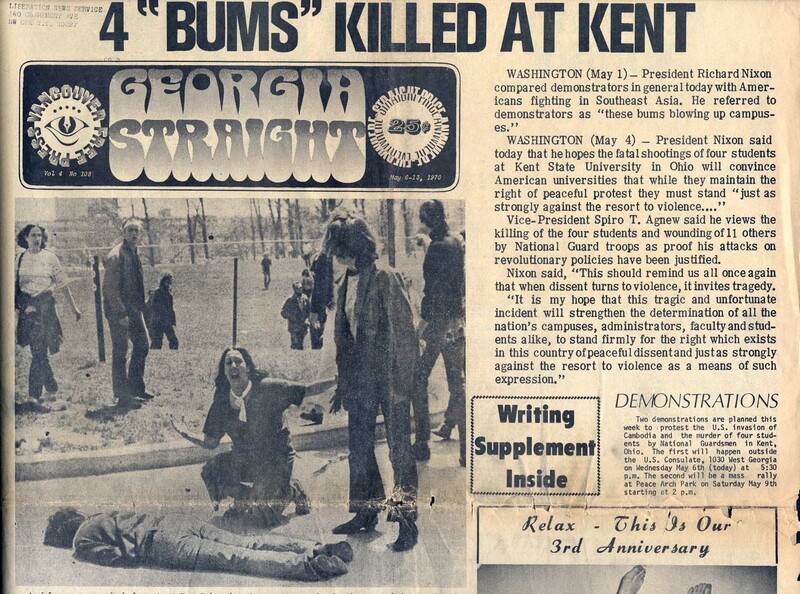 Your sincere and dedicated efforts to have the concealed facts and evidence of the May 4th Kent State Shootings in order to educate and correct our nation’s history of the tragedy are bearing fruit. It is beyond my belief that President Obama who promised ‘transparency in government’ if he took office – has lost his courageous ideals that attracted voters to him. Laurel thank you for getting this on the international agenda. As you know I named my daughter Allison Krauss after your sister. My daughter is a beautiful spirit, who is a psychiatric social worker and has two beautiful daughters. Allison will live on…in our memories and hopefully the International arena will bring out the truth…those students were slaughtered by the Guard.